Welcome to the second instalment of our build up blogs for our technical expedition to the Brother Islands. In this blog we are going to examine the larger of the two wrecks that lies on Big Brother Island; The Numidia. Once again I have called upon Mr Middleton to assist with the description of the wreck and also Mr Spenceley for his expert photos. Thanks again boys. The British cargo ship Numidia was built in Glasgow in early 1901. A relatively large vessel, she displaced 6,399 gross registered tons and was powered by a 3 cylinder triple expansion steam engine capable of providing a top speed of 10 Knots. She was 137.4m long, 16.7m wide and had a draught of 9.2m. The Numidia was owned and operated by the Anchor Line at the time of her loss. On 28th February 1901 the Numidia set out from Glasgow on her Maiden voyage. She was a well-found ship and the lengthy journey to Calcutta and back was an excellent opportunity for both Captain and crew to get to know this brand new vessel. Her second voyage, however, would prove to be her last. On 6th July 1901, the Captain ordered the mooring lines slipped from her berth in Liverpool and stood beside the Pilot as the vessel moved slowly into the River Mersey and then out into the Irish Sea. 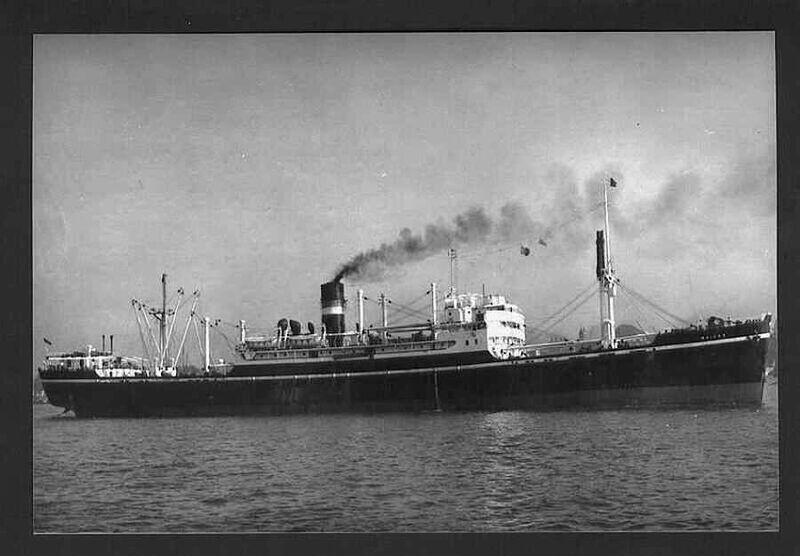 The Numidia was carrying a general cargo of 7,000 tons and a crew of 97. There were no passengers. The ship cleared Suez in the early hours of 19 July 1901. They made good time and by 7pm that evening, Shadwan Island was already abeam. The weather was fine with a fresh breeze from the NW. At 11pm the course was altered and at 1am on the 20th the light on Big Brothers island was sighted off the port bow. Observing the bearing, the Captain altered course again and informed the “officer of the watch” this would take the ship over one mile to the west of the Island. 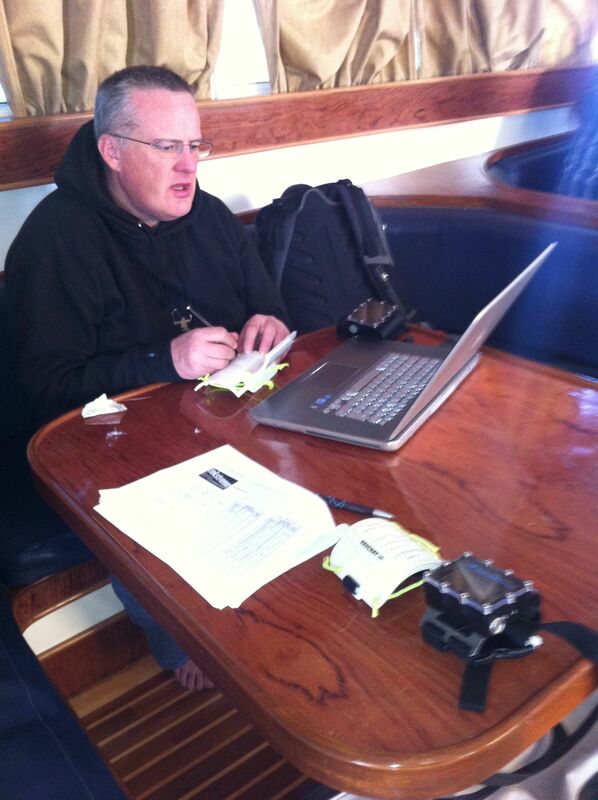 He then left the Bridge leaving instructions to be called when the Light was abeam. At about 2.10am the Master was awoken by the shock of his ship crashing onto rocks. Hurrying to the bridge, he found his ship hard aground on Big Brothers Island – almost directly below the Lighthouse! After two hours of trying to get off the rocks the engines were stopped. By this time the ship was taking on considerable water although the pumps were coping. At 7.30am dispatches were sent to Suez for urgent assistance and most of the crew were landed on the Island. Other vessels then arrived and every effort was made to refloat the Numidia without success. Eventually realizing his vessel was lost, the Master allowed his crew to be rescued – although he remained on the island for a further 7 weeks – during which he supervised the salvage of most of the cargo before the Numidia finally sank. The Numidia is found off the northern-most tip of Big Brother island. Quite often, however, there is a strong current running straight onto the wreck. 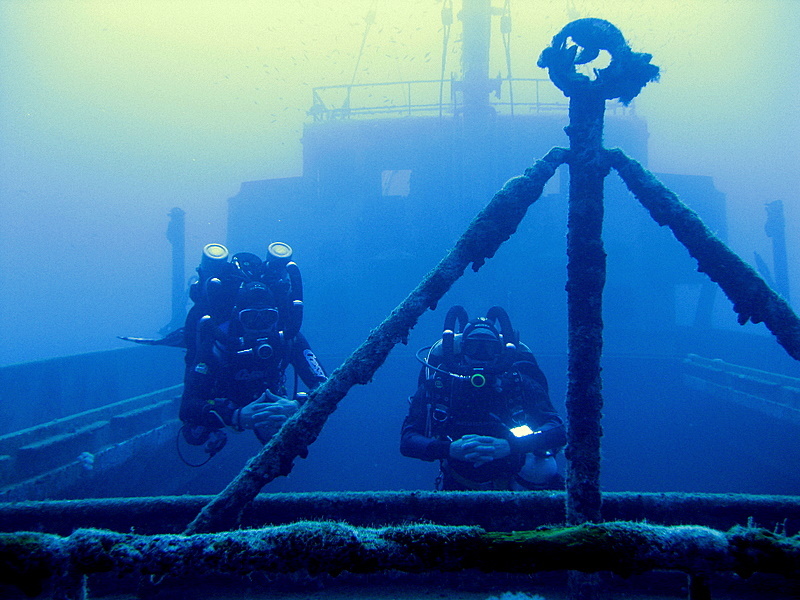 This is a dive to set the heart racing and one of the most incredible shipwrecks available to Divers. 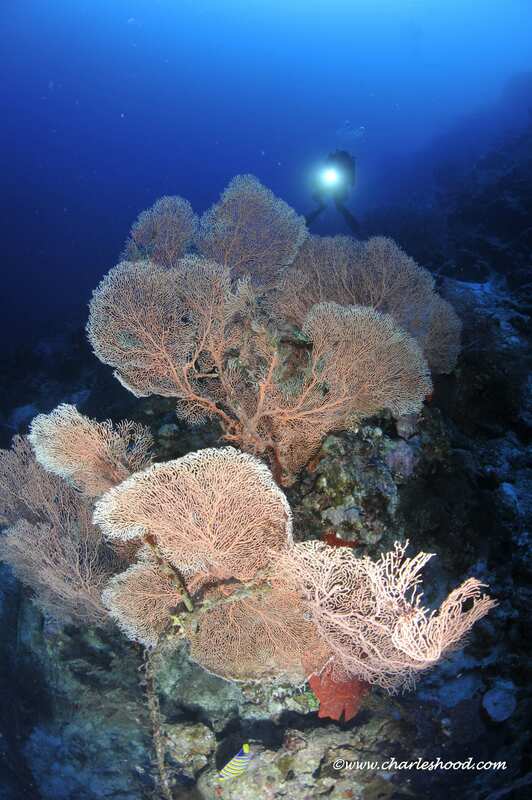 She defies all the known laws of gravity and lies “up” the reef at an almost vertical angle. 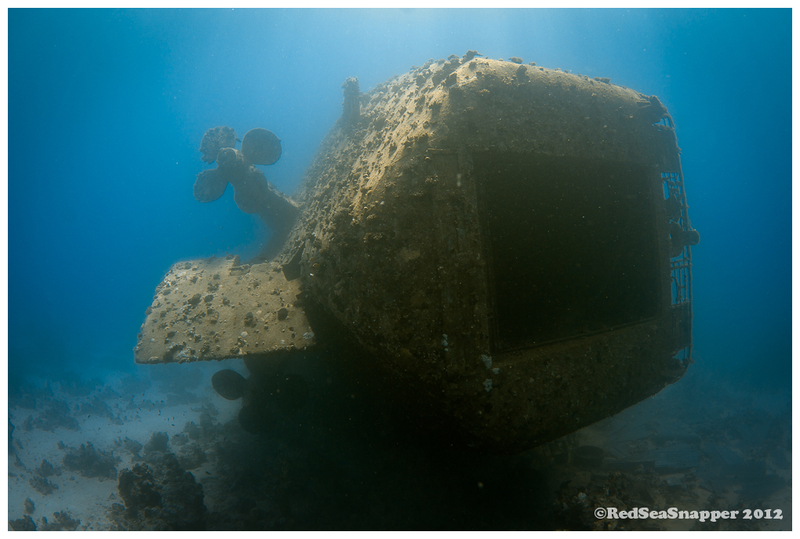 After nearly 100 years underwater she is, of course, now an integral part of the reef itself and will never move. Immediately behind No 2 Hold is the raised central “castle” with its accommodation and what remains of the Bridge. Having been constructed of wood on a steel floor, all but the basic outer framework has rotted away. 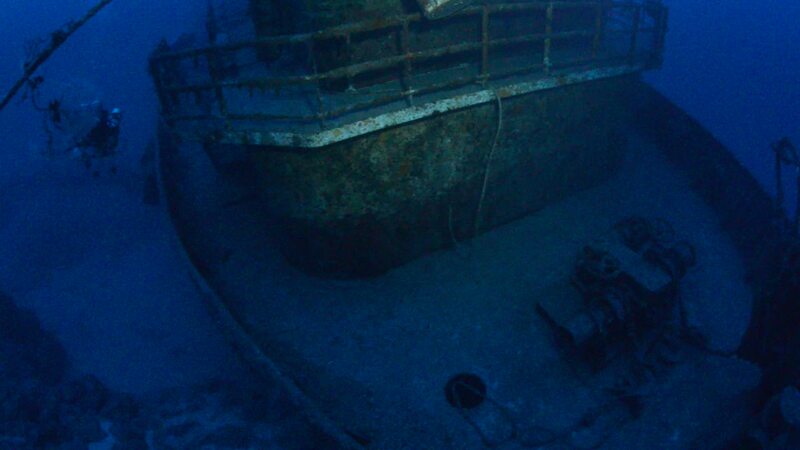 We are now at a depth of 50m and the remainder of the ship lies in very deep water. Immediately behind the bridge is the ship’s funnel which has fallen over to one side. Here several lifeboat davits are swung out. The Engine Room is immediately below. Further aft are Nos 3 and 4 Holds – and the decking is very similar in appearance to that nearer the Bows. 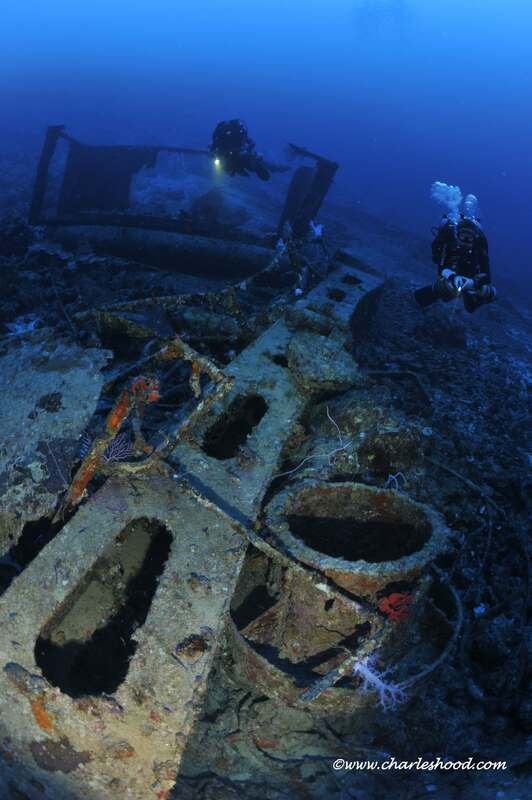 Once again, the Diver will find the lower half of an equally stout rear mast – also defying gravity, along with all the attendant deck winches. The stern is raised and provides a beautifully rounded poop deck below which the single large propeller is found at a depth of some 80m. 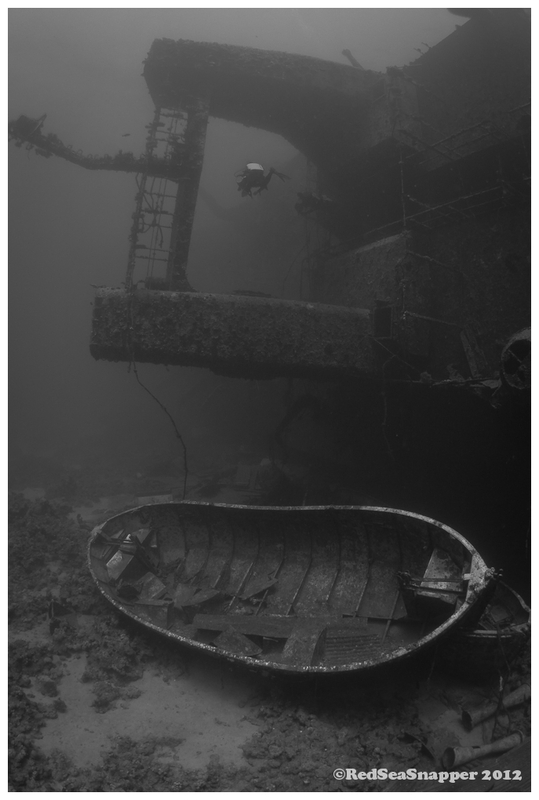 Apart from the damage encountered at the Bows, all metal structures are fully intact throughout the ship and they are all covered in the most exciting arrangements of Hard and Soft corals – which only begin to fade in their intensity from 50m downwards. 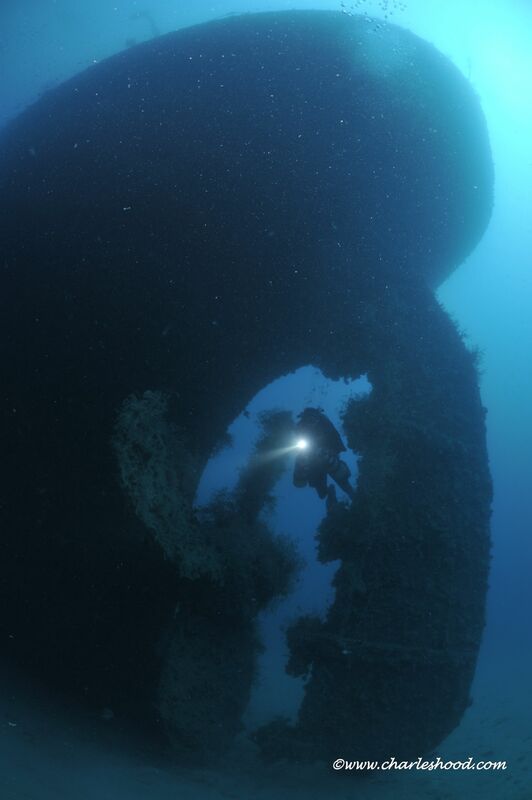 The largest Grouper are also a feature of these deeper aspects of the wreck. 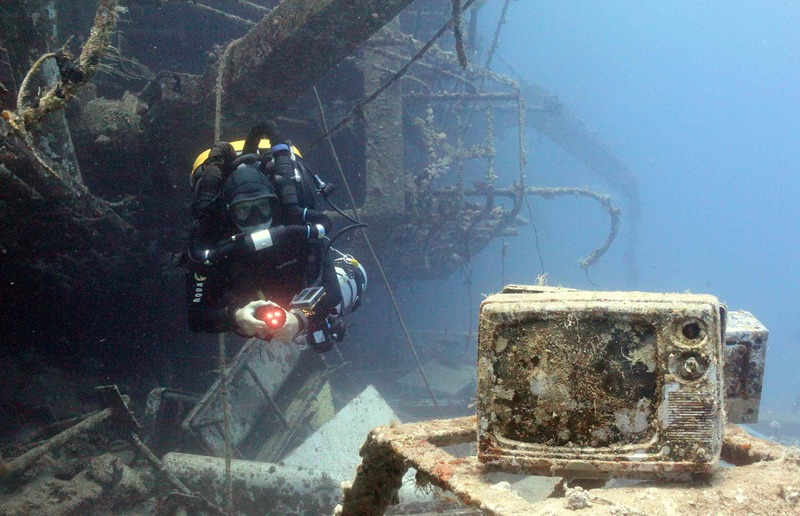 Bad diving season for Europe means great diving season for Tekstreme. 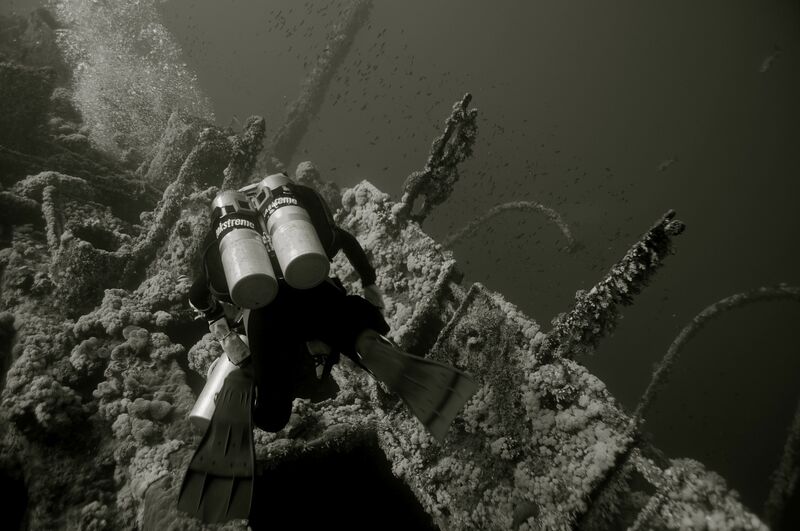 Lets get up to date…..
Due to the poorer summer weather around Europe and especially UK the diving season has not been a great one, which is good news for us out in Egypt. 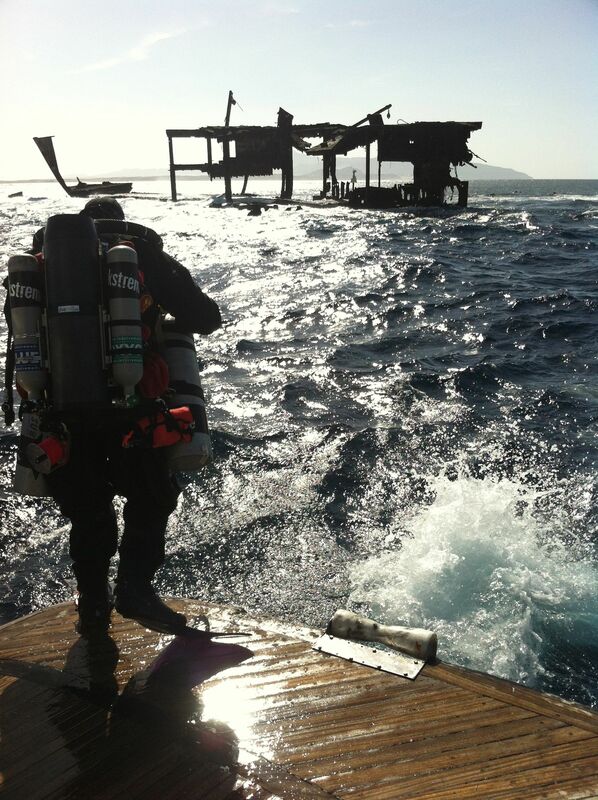 Over the last couple of months we have seen increasing numbers of technical divers taking advantage of the good winter weather in Egypt and coming out to join us to get some last minute diving in for 2012. Hungarian Pilot Norbert Miskolczi came to Tekstreme Hurghada to make the most out of his holiday by beginning his technical diving path with the PADI Tec 40 & 45. Norbert, who only began diving a couple of years ago has taken to the sport very quickly and easily and wanted to expand his practical skills as well as his theoretical knowledge. With PADI Instructor Cat Braun (aka Cat Parfitt) on hand Norbert sailed though both his courses enjoying dives around the local wrecks and reefs. 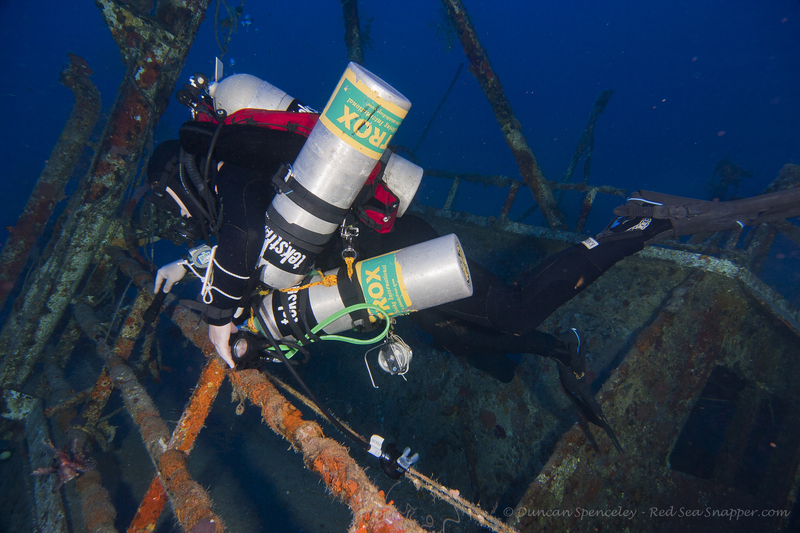 Norbert, who now has the technical diving “bug” has already signed up for the next technical safari in February where he will continue to Tec 50 and the first Trimix level, Trimix 65. Onwards and downwards Norbert. 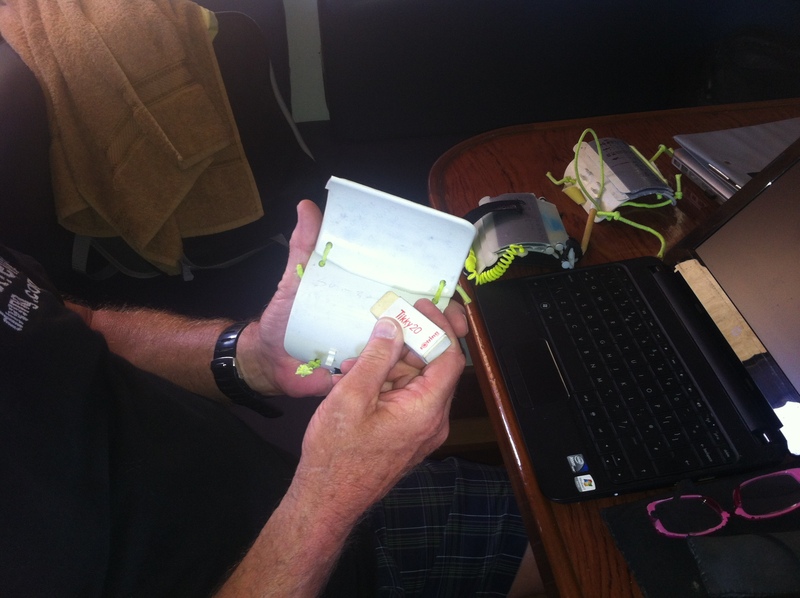 Shortly after Norbert had finished, El Gouna dive center welcomed John Ruggles. John, who is an experienced diver and existingTec Deep diver wanted to gain his SDI Solo Diving certificate on his most recent holiday. 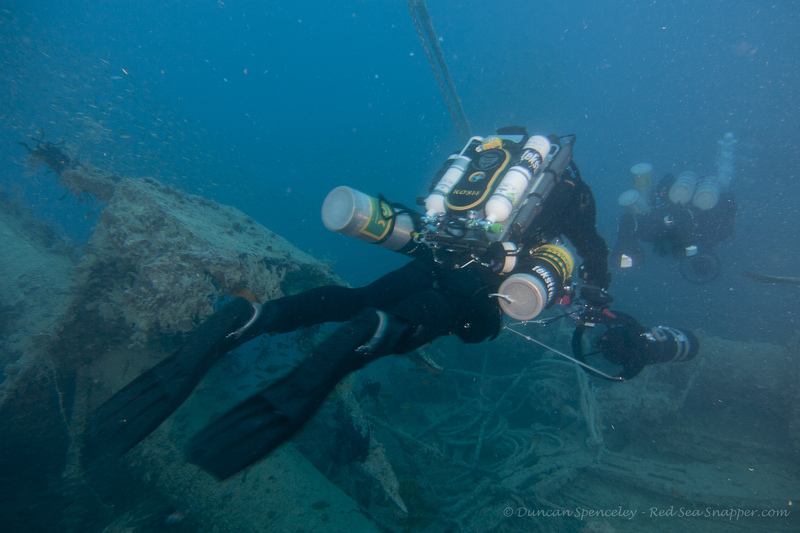 Under the watchful eye of Cat Braun, John not only gained his Solo diver status but it also gave him the time to refresh all of his technical diving skills. 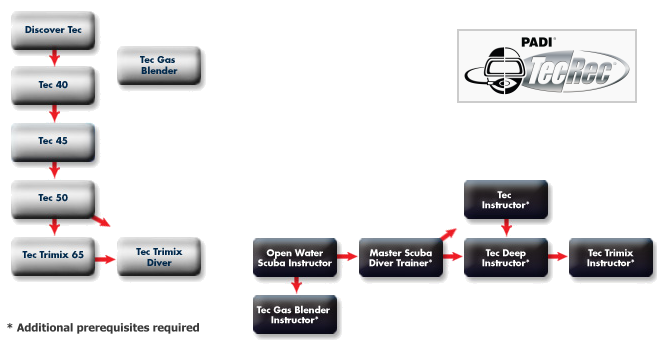 Over in Tekstreme Sharm, instructor Chris Armstrong has been busy. 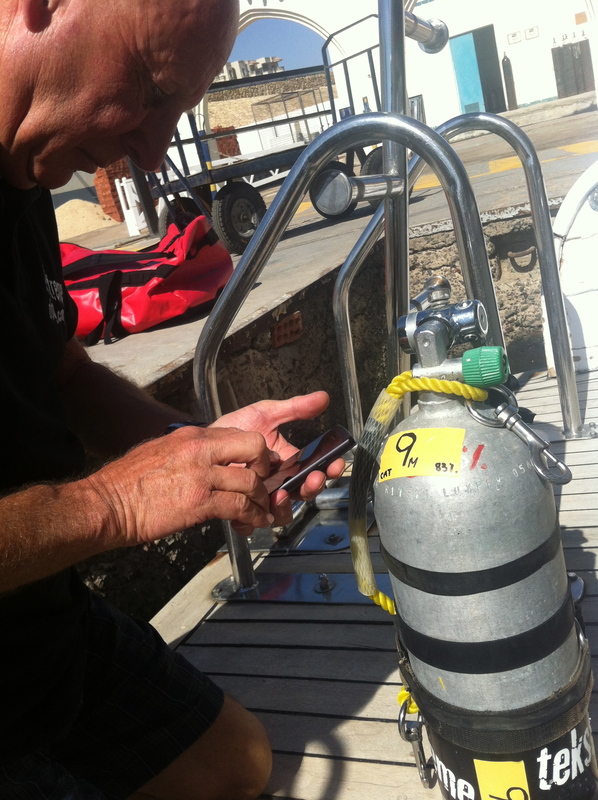 To begin with, he was teaching TDI Advanced nitrox and Deco procedures to Martin Smid. 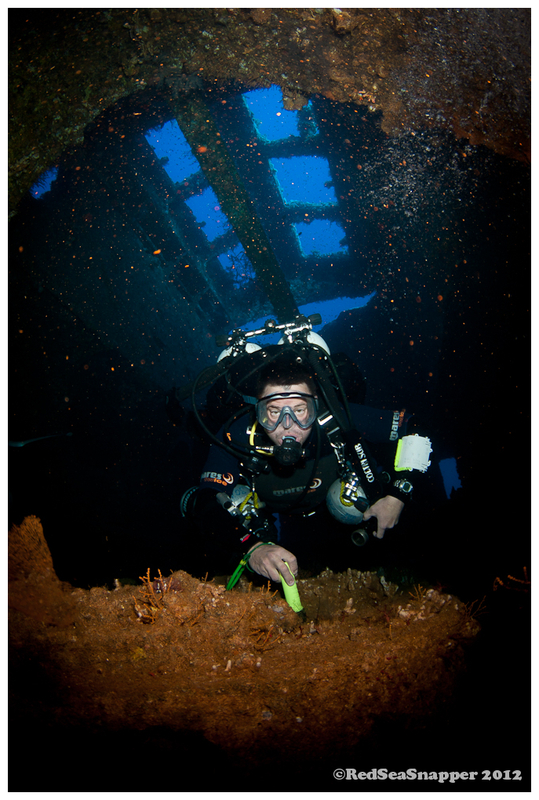 Martin is very lucky and can have extended periods of holiday time in Sharm, because of this he then went on to do more days of technical diving at that level building up his experience so that soon after he could make his Entry Trimix course. Martin has done really well in a short space of time and also will be joining us on the next technical safari to make his Advanced Trimix. Well done Martin. Armstrong was on hand to put him through his paces, (and I am sure he did) and Pete did successfully pass his course. Next stop Sports mixed gas, as soon as Manager Tammi gives him more holiday time! Welcome to the dark side Pete. 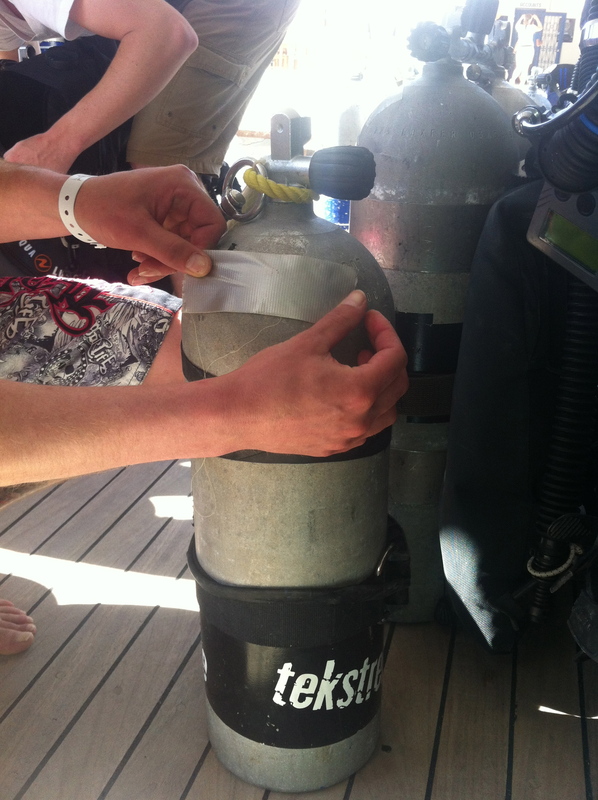 Tekstreme Sharm also saw a familiar face return, Mattijn Buwalda who made his entry level TDI CCR course in the summer time with instructor Chris Armstrong was back out again to take the next step into CCR decompression diving. Mattijn had managed to get quite a lot of hours on the rebreather on his recent safari with Emperor Divers and felt ready to take the next step. Mattijn, found the course exciting and challenging and by the end of the week had achieved his goal. Well done. Mattijn, will also be joining us on the next technical safari to get even more hours on the unit and put into practice what he has now learnt. Mattijn, who is by trade a anesthesiologist, is also currently training to become a hyperbaric doctor, always handy to have onboard! Heading down the coast to mainland Egypt, Adventure man Marc Sluszny came back to do some more days of technical diving with instructor Cat Braun. 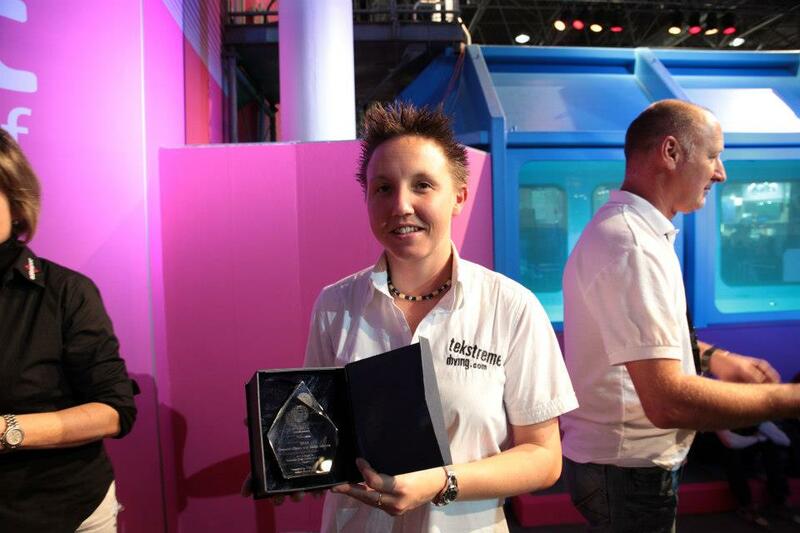 Marc who is a very busy man, recently set the world record for the longest vertical forward run. (he ran down the Belgacom building in Brussels setting a new world record (15’56) in the Vertical Run discipline) It would kind of make sense then that when he comes out technical diving he wants to push the boundaries. 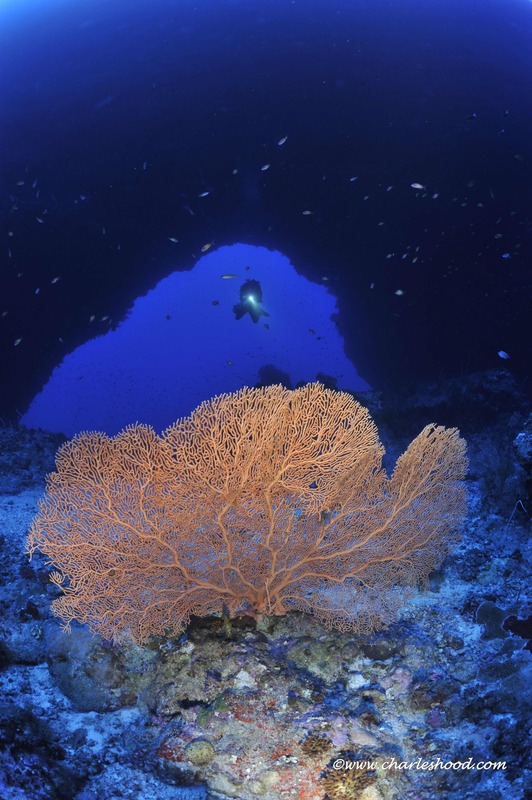 On this trip, he only had three days, but we did manage to get a nice 100m dive in at Torfiet Ali, and we also began the exploration project of the House reef of Moreen beach (Emperor Divers location marsa Alam). From that dive Marc, Cat and Shaun Fox found a nice hard coral tongue heading down to 60m, with more exploration needed of the other parts of the reef. 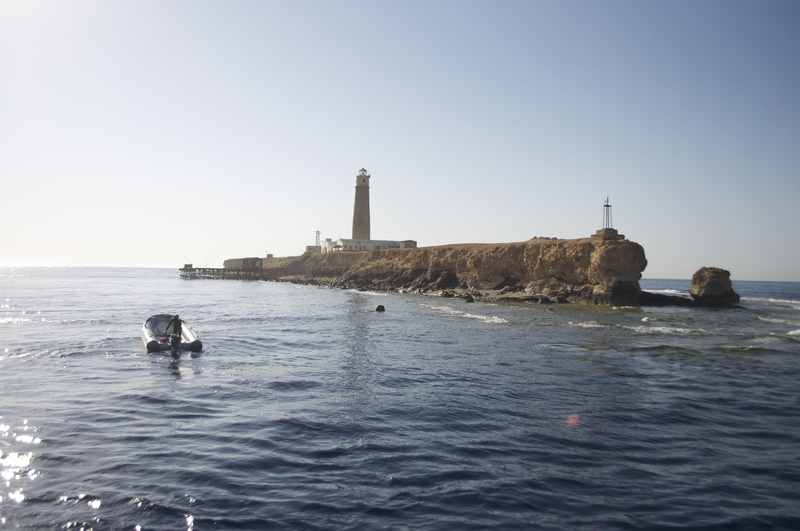 The divers of Marsa Alam are so lucky to have the magnificent Elphinestone reef on their door step, so when two Russian technical divers came into Tekstreme Marsa Alam there was only one site they wanted to dive. 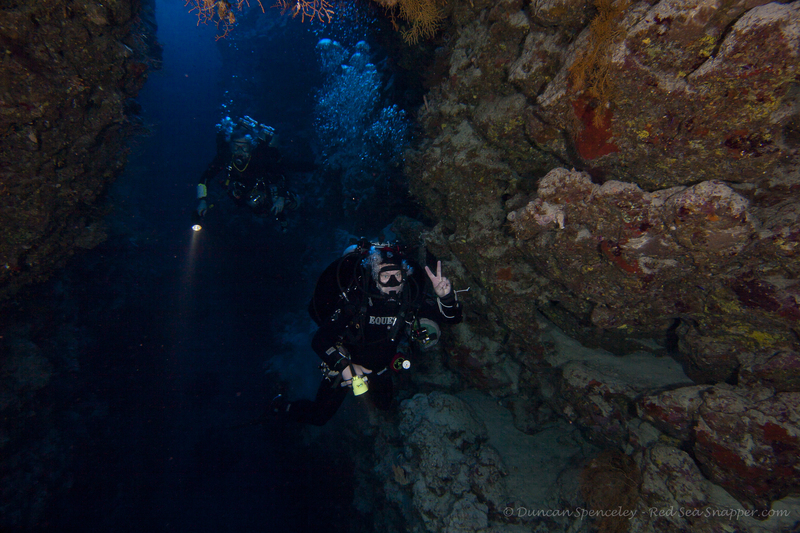 Andrey and Andrey, both TDI Trimix divers wanted to explore the archway under south plateau as well as spend some time with the Oceanic White tip reef sharks. And so it was! After exiting the archway at 55m a very very curious Oceanic came down from the surface to visit us, which was a little bit surprising for our two Russian friends, they did not panic, buts lets just say they were caught a bit off guard! 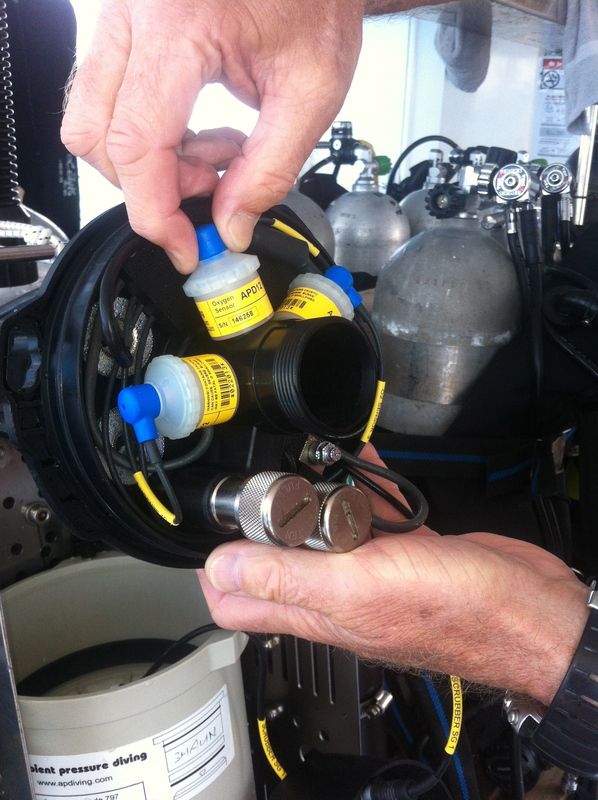 During the shallow water deco the same Oceanic was very interested in Cat Braun and Shaun Fox on the rebreathers, unfortunately the lack of bubbles to scare them aware meant that they were getting a very close up view! Elphinestone has to be one of the best reefs in the south by far! 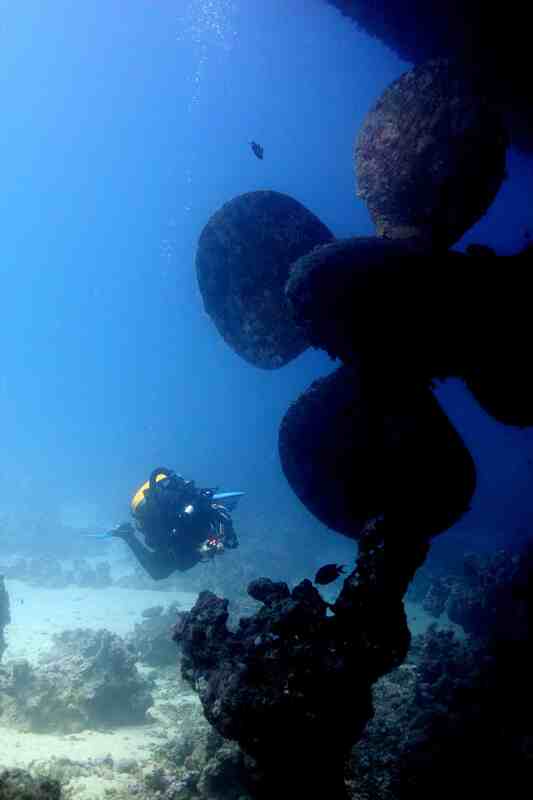 Whilst Cat Braun was down in Marsa Alam, returning English guest Ian Barker was back in Hurghada to make 11 days of technical diving. 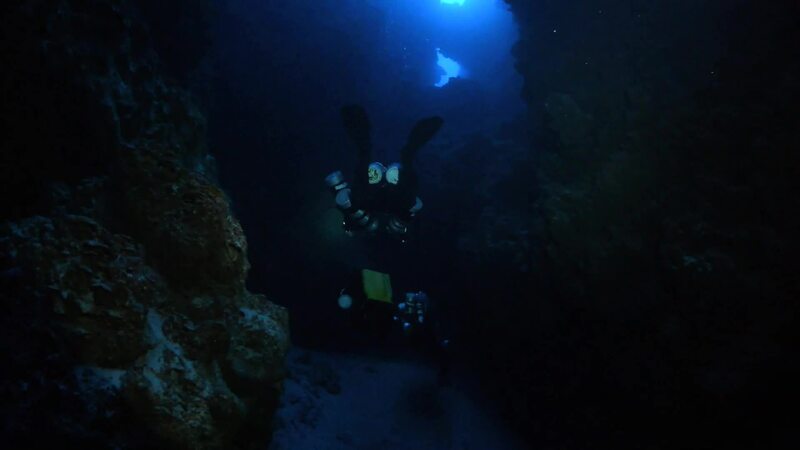 PADI Technical Instructor and guide Szilard Bardoz was on hand to be with Ian and over the course of the days make a nice steady depth progression so that when Cat Braun returned, Ian could make his deepest dive. 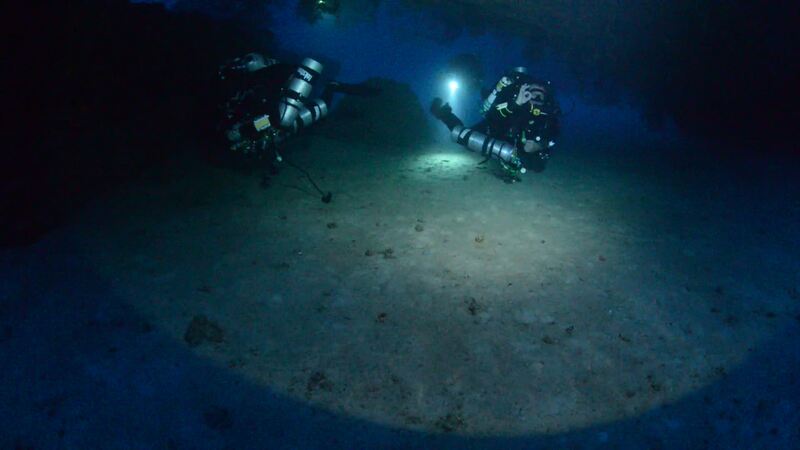 A great 85m dive on the Gulf Fleet wreck was where this occurred, great visibility and no current meant that Ian’s deepest dive was not only a great dive but one of the most relaxing dives. Well done Ian. 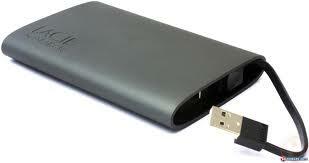 On Ians next trip he plans to increase his depth so he can see 100m on his computer, and we will be there with him. Heading back over to Sharm, Tekstreme instructor and Red Sea Snapper owner Duncan Spenceley welcomed back a former Red Sea Snapper guest Kevin Cox to begin his technical diving courses. 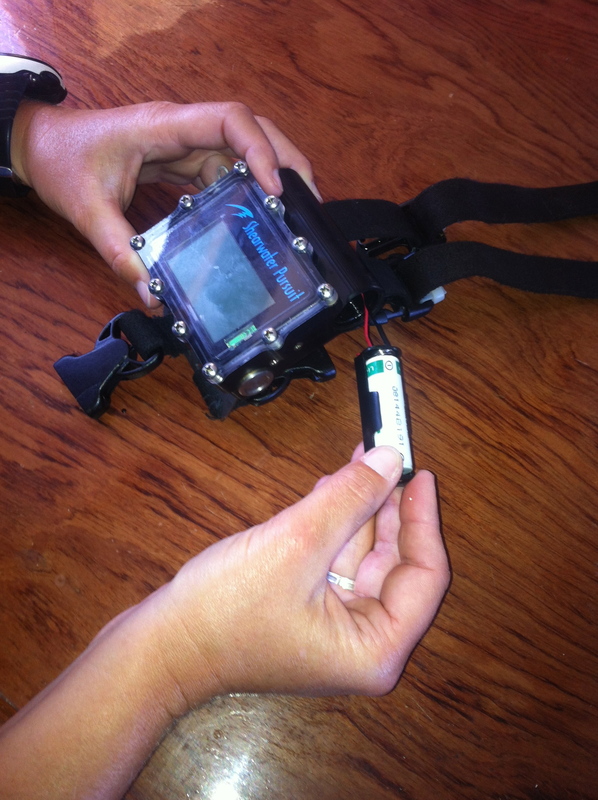 Under the supervision of Duncan, Kevin began with the PADI Tec 40. Not only did Kevin pass the course but enjoyed it so much he then went on to also make the Tec 45. Well done kevin. 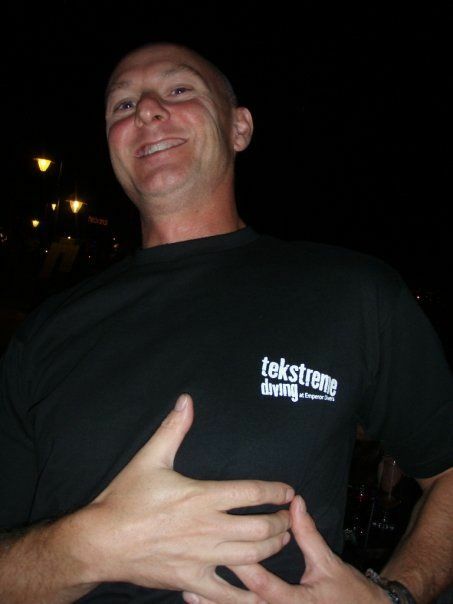 Tekstreme Sharm also saw the return of Dave Hurring. Dave, who has made all of his technical courses in Sharm with instructor Chris Armstrong, made the most out of the dive show special offers and was back out to enjoy two weeks of diving to escape the UK rain! 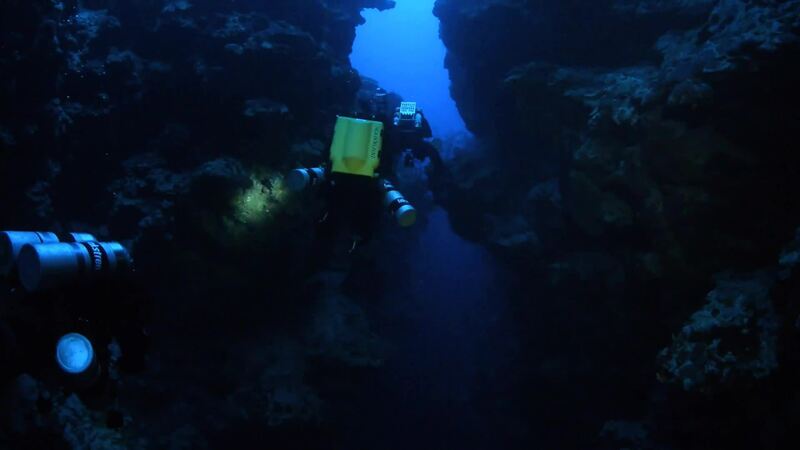 Dave and Chris enjoyed multiple dives around Ras Mohamed, Tiran and Dahab during his time and really built up more Trimix diving experience and a small teasing introduction to cave diving! At the same time, Peter Bosmans was also out in Sharm. Peter managed to squeeze in a couple of days of technical diving with Tekstreme instructor and Red Sea Snapper co owner Steve Parry. The weather at this time was awesome; great visibility, warm waters and moderate currents certainly resulted in some great diving being had. 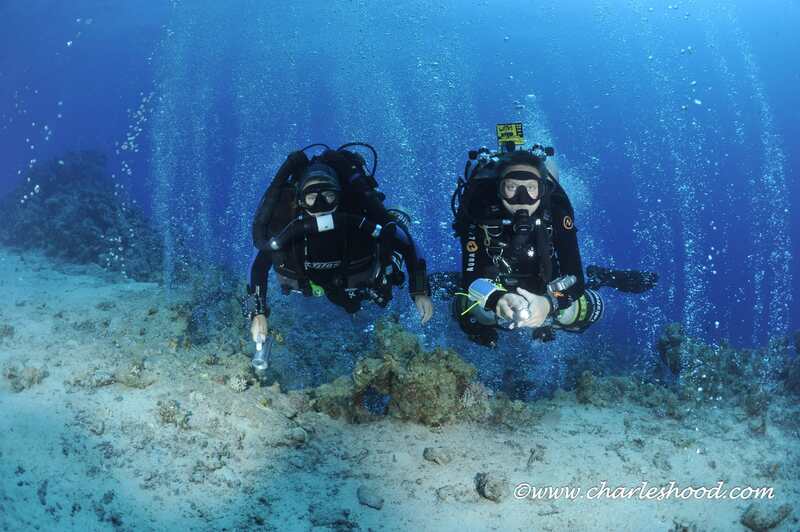 And finally, back to Hurghada, Tekstreme guide Cat Braun, enjoyed a couple of days of diving with Michael Wilson. Michael who is a Trimix diver managed to sneak in a few days of technical diving on his holiday with the potential to persuade a few of his diving club to come and visit us next year. 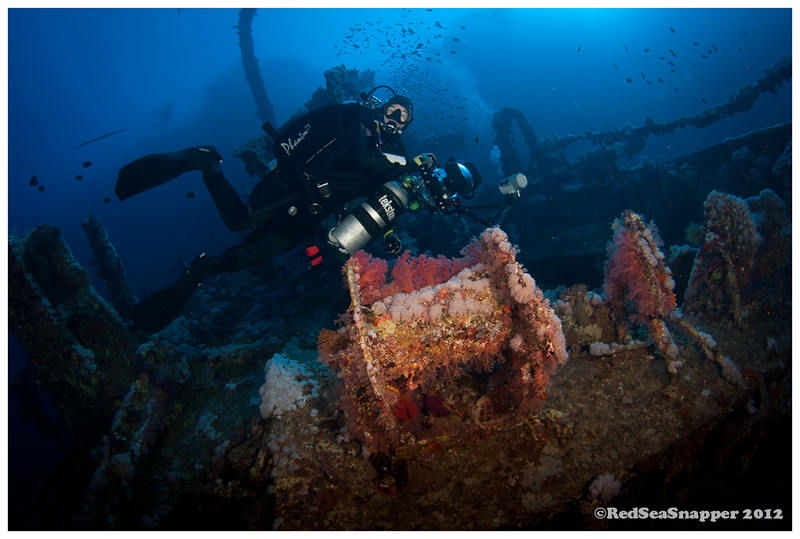 A couple of nice 65m dives were done on Giftun reef and the wreck of the Colona. 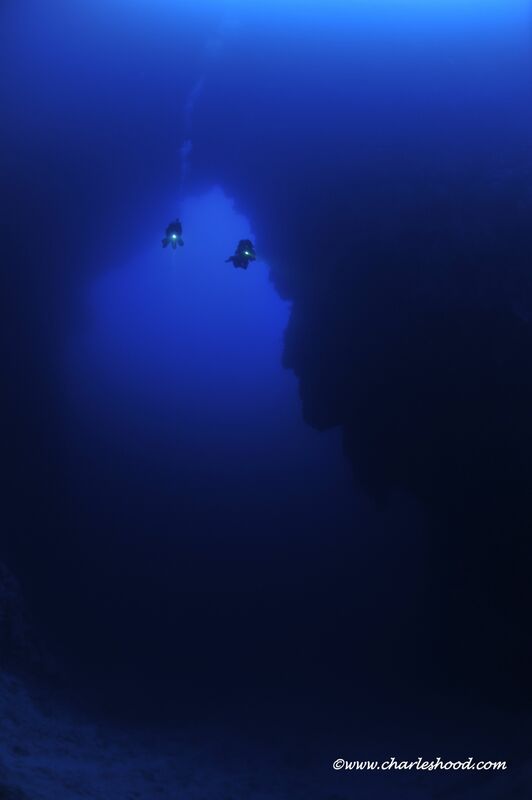 As we now move into December it does not get any quieter, with TDI Advanced Nitrox & deco courses, PADI Tec 40 & 45 courses, BSAC ADP courses, and some deep cave exploration on the list for the Christmas period, when will we find time for Christmas shopping?! Wrecks, wrecks and more wrecks!! 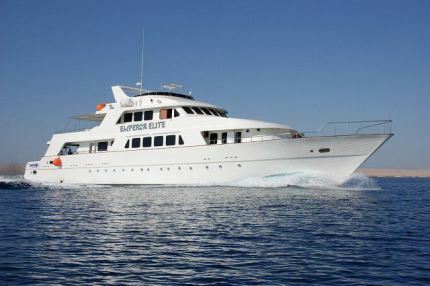 After the success of many technical safaris in 2011 and 2012 we start off 2013 with a technical safari to the Northern wrecks and reefs of the Red Sea. 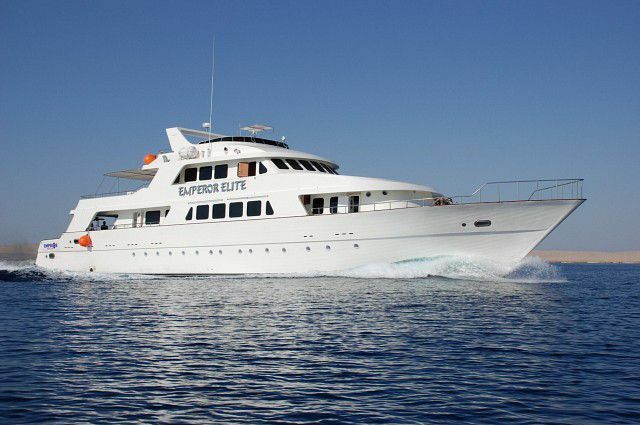 The trip will have a large emphasis on wrecks that can be found between Hurghada and the straits of Tiran. 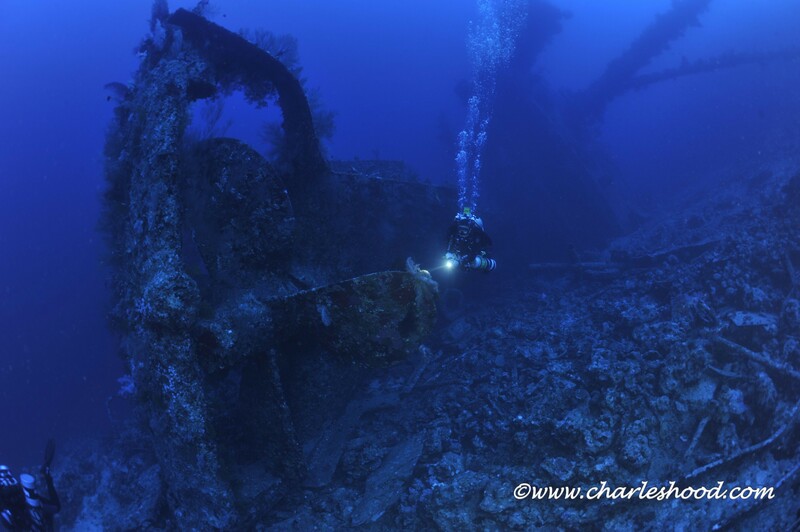 The wrecks are at various depths so suitable for a full range of technical diving levels. 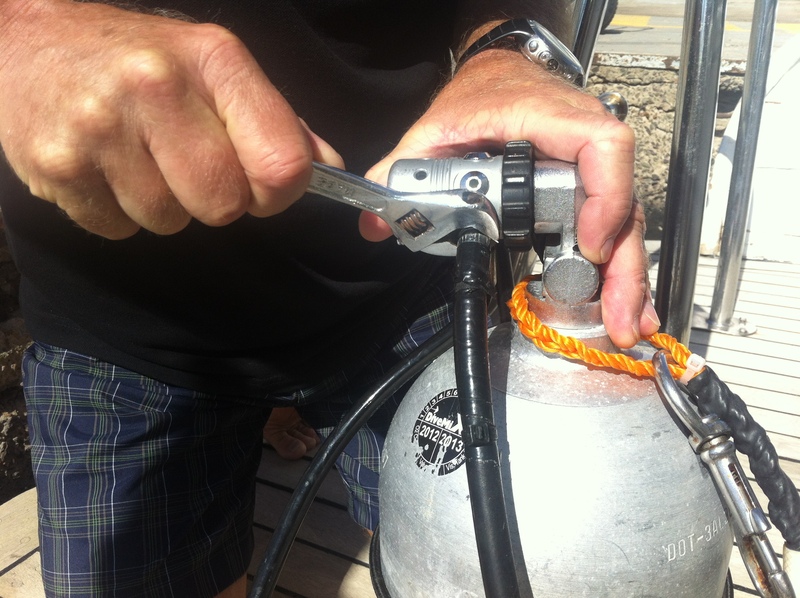 The trip is only 1150 euros and is open to all levels of technical diver; open circuit or rebreather. Technical courses are also available on board on request. Contact us for more details on how you can join our trip. 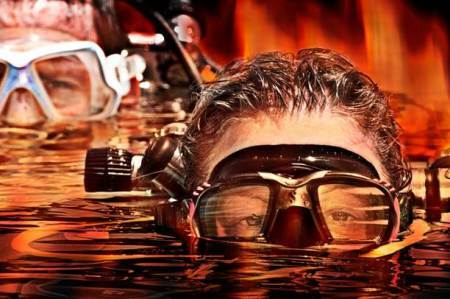 Don’t delay as we only put a maximum of 16 technical divers on board and places are on a first come first served basis.